The era of precision genome editing is underway, and while it is still in its nascent stages for human therapeutics, it is quickly accelerating in the world of agriculture. The application of gene editing techniques, such as CRISPR/Cas9, to food and agriculture poses a unique challenge to both governmental agencies and the private actors subject to their oversight. Determining where modified plant and animal foods fit within the Coordinated Regulatory Framework established between the EPA, the FDA, and the USDA is an ongoing task. According to a 2017 United Nations’ Food and Agriculture Organization report, the world’s population is expected to grow to almost 10 billion by 2050, leading to an increase in agricultural demand by roughly 50 percent compared to 2013 levels. Economic growth, population dynamics, land availability, and volatile weather are all variables in an increasingly-complex and interdependent global agriculture industry. As consumption continues on an upward trajectory in the coming decades, bioengineering has become a major factor in the growth and sustainability of global food supplies. There is ample activity in a number of arenas of bioengineering in agriculture, but CRISPR is leading the way and generating the most headlines. It has been used in a host of applications, such as boosting crop resistance and protecting against disease in livestock. 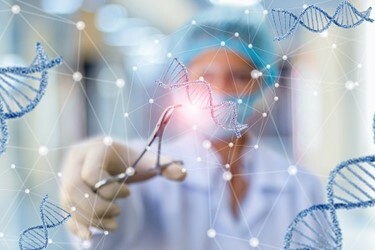 Some companies are also using other gene editing techniques, such as recombinant DNA (rDNA), zinc finger nucleases (ZFN), and transcription activator-like effector nucleases (TALENs), to enhance yields. The market for genetically engineered products was worth almost $2 billion in 2014 and is expected to double by 2019. Yet despite continued calls for improved and updated oversight, regulation, and ethical accountability, some have declared it “open season” in gene editing of plants and animals.